Fighting families are not exactly unique in boxing. 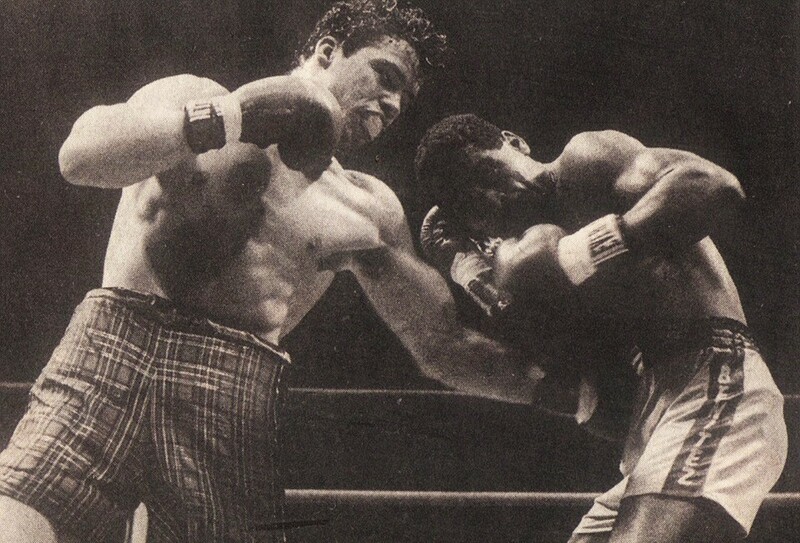 Indeed, the history of prizefighting is filled with siblings who shared the profession, such as Max and Buddy Baer, Leon and Michael Spinks, Gabriel and Rafael Ruelas, Gaby and Orlando Canizales, the Quarry brothers, Mike, Jerry, and Bobby, and many others. 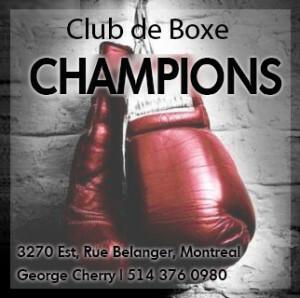 Today we have the loquacious Charlo twins, who appear on the verge of taking over boxing with their big personalities and aggressive fighting style. 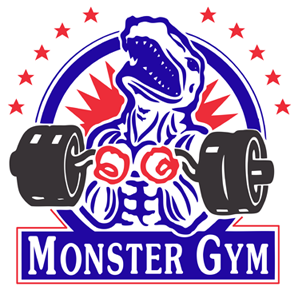 And of course there have been numerous father-and-son teams, such as Pat and Sean O’Grady, Jack and Shane Mosley, and Felix Trinidad, Sr. and Jr. But with little doubt, there is no boxing family quite like the Hiltons of Montreal. The fortunes, failures, tragedies and tribulations of the legendary Hilton clan are the stuff of legend, their story dramatic and sordid enough for a feature-length movie or a novel, likely more than one. Dave Hilton Sr. raised five sons and integrated them from an early age into “The Sweet Science.” Dave Jr. was the eldest, followed by Alex, Matthew, Stewart and Jimmy. 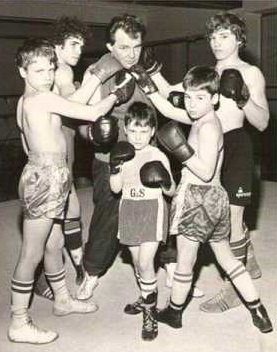 But the same man who trained and guided them also sowed the seeds for the setbacks of the future. 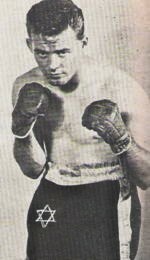 In a long and storied career that saw him answer the bell some 150 times, amateur and pro, and win three Canadian titles, the family patriarch also answered the bell countless times in various pubs and saloons all over Canada and the U.S., tipping the bottle as much a staple of his life as stepping through the ropes. But if Hilton bequeathed to his offspring a wild, macho ethos lacking in restraint, one which opened the door to alcohol abuse and numerous criminal convictions for three of his sons, he also fostered their natural fighting talent. 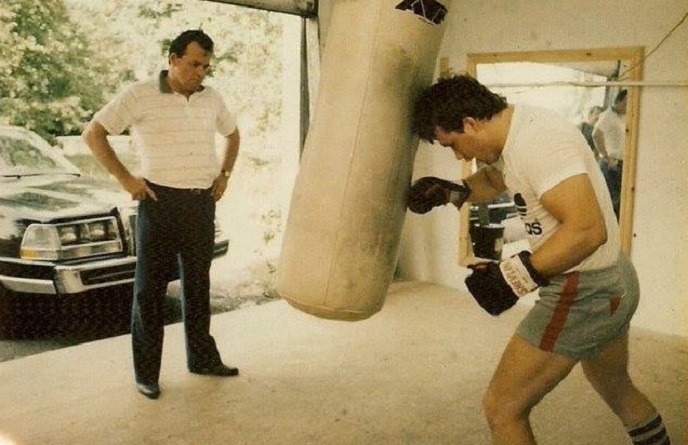 A more-than-capable boxer, Dave Sr. was, arguably, an even better trainer. Dave Hilton Sr. in his prime. And that strict approach and guidance led to success, a fact reflected by the Hiltons’ tremendous records as amateurs; Dave Jr. went 130-2; Alex 103-1; Matthew 106-0 and Stewart (who would perish in a car accident in 1986) 90-6, with the eldest three each winning three Canadian Golden Gloves titles. But while those amateur accomplishments were impressive, they weren’t the end goal. Dave Sr. was determined to bring his sons to a level of pro success that exceeded his own. And that meant winning a world title. Dave Jr., Alex and Hilton Sr. show off the hardware. 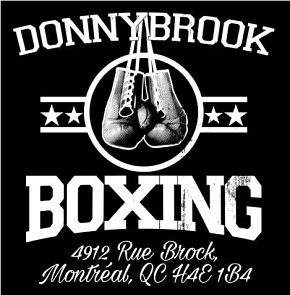 The word in boxing circles was that Davey Jr. was the one destined for greatness, his skills so impressive that no less an authority than Angelo Dundee had called him one of the best boxers he had ever seen after watching him spar in the early 80’s. 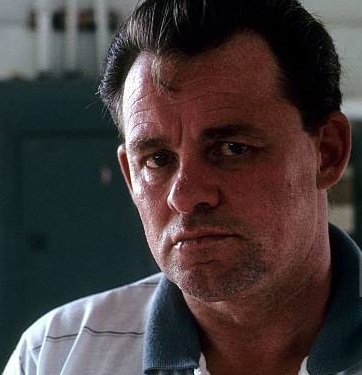 But in 1986, and despite being undefeated in 23 matches, Davey appeared intent on sabotaging his own progress; he had injured himself in a motorcycle accident and had since been charged with impaired driving. For now, at least, his career was on hold. A young Matthew clowns for the camera with his mom. Thus it was Matthew, not Davey Jr., who got the first chance at championship glory. 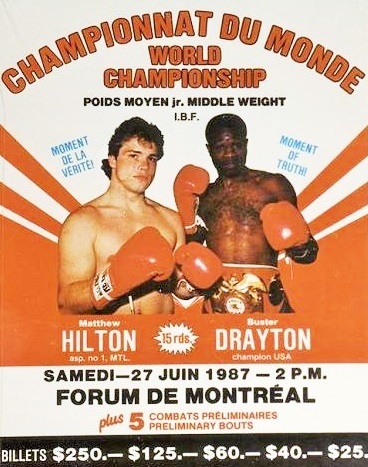 After scoring big wins over former world champs Vito Antuofermo and Wilfred Benitez, the offer to battle IBF junior middleweight champion Buster Drayton at the famous Montreal Forum came the younger brother’s way. 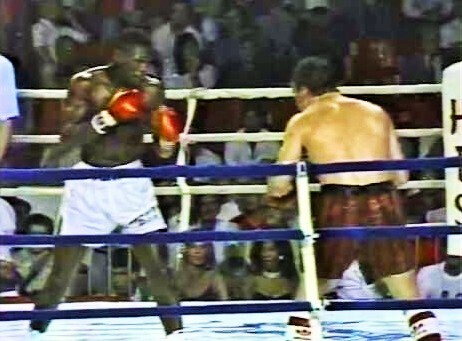 The match was broadcast live on ABC television, with Jim Lampley and Alex Wallau providing the ringside commentary to a huge audience in both Canada and the United States. This was the chance for the Hiltons to shine on the big stage, and for Davey Hilton Sr. to achieve a decades-old dream, to see one of his sons hold in his hands what he never did, that gold belt, a world championship. 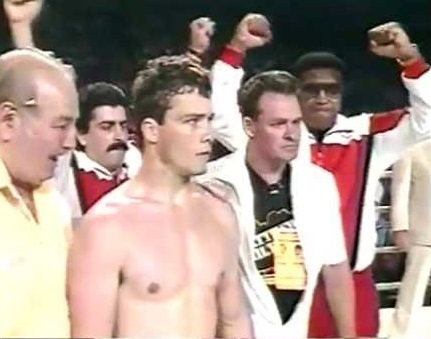 Matthew’s huge win over Wilfred Benitez set up his historic title shot. Spurred on by his father and determined to please the mob of hometown fans cheering him on, Matthew got off to a tremendous start. His trademark power was evident early on as a big overhand right slammed home and put Drayton on the canvas in the opening round. Although the champion beat the count, his legs were unsteady and Hilton searched for the finish. He threw every ounce of his weight into his thunderous power punches, ripping the body with hooks and attacking the chin with uppercuts, but Drayton, showing the poise of a hardened veteran, prevented the decisive haymaker from landing. The tough Philadelphian survived the round but it was clear he was in for the fight of his life. Hilton picked up where he left off and continued to find success in the early rounds. His punches were wide and looping but effective, as they packed a ton of power and, in what became a theme of the bout, he showed tremendous commitment to attacking the elder champion’s midsection, nailing Drayton’s rib cage at every opportunity, especially with his money punch, the left hook. But Drayton returned fire to the body as best he could, attempting to slow down his much younger challenger. He recovered from the early onslaught and eventually managed to find his rhythm and make the fight competitive. The match became a torrid back-and-forth affair, each taking turns to land their artillery, both refusing to concede anything to their adversary. While Hilton’s bombs-away style produced dramatic knockouts and created excitement for the fans, it had its inherent vulnerabilities. Throwing everything behind every punch drains a fighter’s gas tank no matter how good one’s conditioning. Combine that with a foe as battle-tested as Drayton and that meant potential trouble for the younger challenger. Matthew wasn’t able to score an early round victory, and now he had to rely on his stamina to take him the distance in a bout scheduled for 15 rounds. With Hilton pacing himself and attacking in spurts, Drayton was able to get some solid work in, but the champion’s punches lacked the force of the challenger’s; even when they landed clean, they weren’t enough to hurt the bull-strong Canadian. It’s also possible that, despite being in excellent condition, Drayton’s many years as a professional had taken their toll. At times it appeared he just lacked the necessary energy to test and push Hilton during those precious moments when the challenger was looking to rest. Matthew and his father (right) before the opening bell. And so Hilton hammered away, forcing Drayton to fight his fight, one where his greater strength and power were the difference. Drayton deserves high praise for absorbing such punishment, especially to the body, without ever wilting. Although Matthew couldn’t fight entire rounds with high intensity, he did enough to keep Drayton on the defensive and show the judges he was the boss. As the championship rounds unfolded, the crowd was on its feet, cheering their man, imploring him to keep going. As Matthew would later say: “I will never forget that night. There were 9,000 people but it felt as though there were 25,000, that’s how loud they were.” Hilton responded to their support by ramping up the pressure, closing the show with non-stop aggression. He continued to force exchanges, getting clipped himself on a few occasions, but never relenting, just driving forward and throwing bombs. Drayton and Hilton: a 15 round war. “[Hilton] wants a knockout,” stated Jim Lampley in round 14. “It’s his instinct to go for it.” And despite being clearly ahead on points, Matthew continued to look for the finish as his fans roared in appreciation. 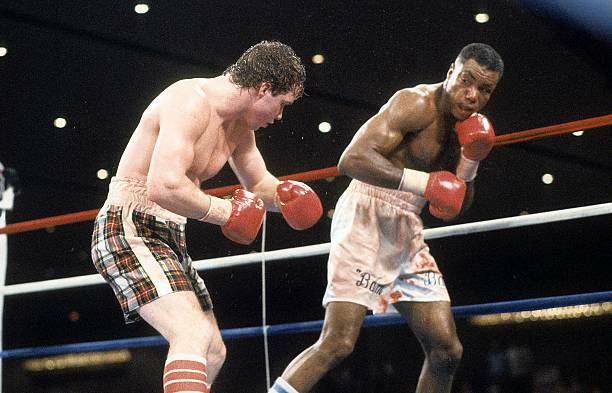 “You will seldom see a more spectacular demonstration of sheer courage and competitiveness on the part of two boxers…[they] are completely spent.” But despite this they traded furiously until the final bell, both digging deep in search of victory and glory. But only half of Lampley’s statement came true. While Hilton would win by unanimous decision, remarkably becoming the first Canadian-born world champion since 1943, this would be the peak of his career. Despite being only 21-years-old and seemingly having an amazingly bright future ahead of him, Hilton would fail to live up to his tremendous potential. Looking back, Matthew himself believes the reason, ironically, was because he succeeded. But in addition to a lack of athletic discipline and motivation, Matthew, along with his brothers, could rarely resist the allure of the bottle and the impulsive and asinine decisions that often followed. Over the years it became difficult to keep track of how many times the boys were arrested, their long list of prison stints a result of numerous drunk driving violations, assaults, and robberies, it all culminating in the horror of Davey Jr.’s convictions for sexually assaulting his own daughters. The following year Matthew lost his title to Robert Hines in Las Vegas. 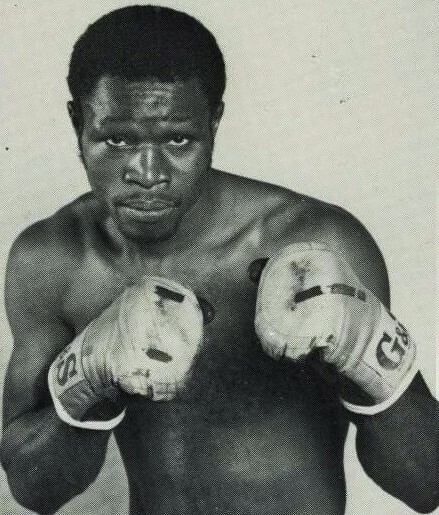 Just 17 months after his great triumph in his home city, a poorly conditioned Matthew struggled to make weight for his second title defense and the unheralded Robert Hines battered him and took his championship by unanimous decision. Hilton failed to ever regain his title-winning form and he never notched another significant victory. The painful truth of course is that Matthew and his brothers might have accomplished so much more. As Nack wrote, Davey Sr. blamed himself for their dissolute ways. 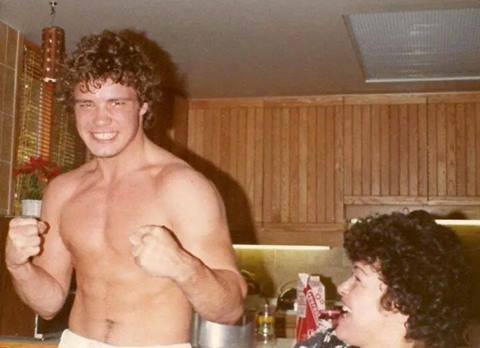 But at the same time, it was the elder Hilton, the legendary brawler and barfly, who guided them to boxing success, and who was in Matthew’s corner when the long-held dream was finally realized. Looking back, despite the disappointments and the pain of alcohol abuse, “The Fighting Hiltons” will always have this great triumph, the glorious, unforgettable day when Matthew Hilton went to war with Buster Drayton for 15 furious rounds and won a world championship for his country and his clan.